A beautifully luxurious blank greetings card. Featuring my hand drawn inky illustration of a cheeky hare, these popular greetings cards are suitable for any occasion. 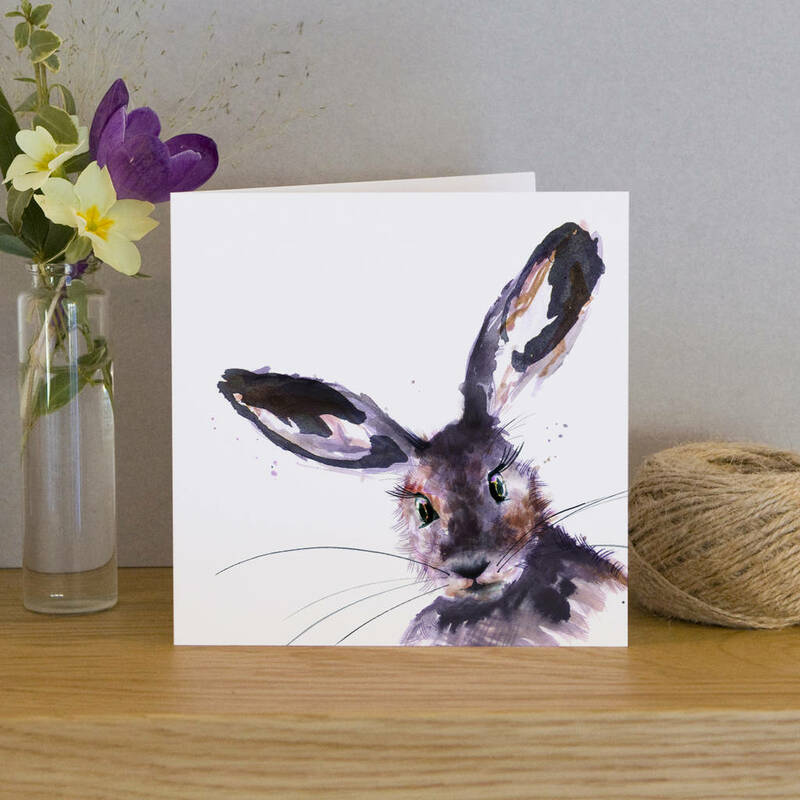 Blank inside, these cards are perfect for quick notes, personalised letters or birthday wishes for anyone who loves nature and animals. 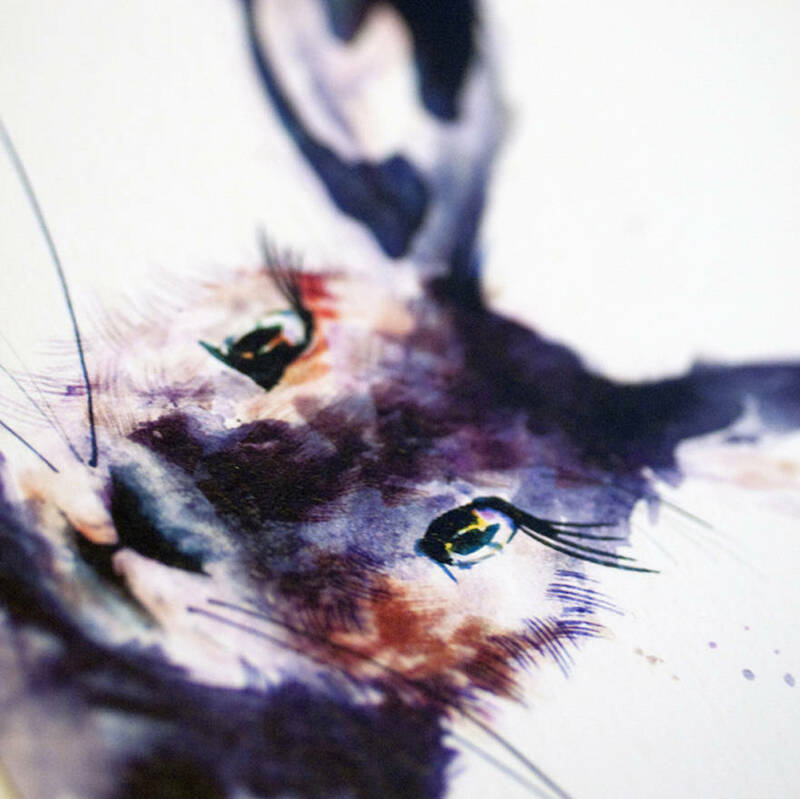 Proudly printed in the UK on the finest textured watercolour paper. Other featured illustrations include an owl, mouse, dog, donkey, kitten, chicken, duckling and cow. You can find them all in my shop! Heavyweight, luxurious watercolour paper and accompanied with a white envelope. Cellophane wrapped. This product is dispatched to you by Kate Moby.